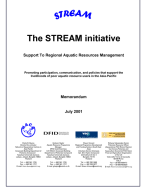 STREAM is a regional initiative that will support capacity building among local government institutions, NGOs, and community groups involved in aquatic resources management. It will support community-based learning initiatives, develop a regional communications and learning strategy and support on-going policy and institutional changes in the region to enable aquatic resources users to participate more effectively in policy-making processes, and encouraging the development of more responsive government institutions. 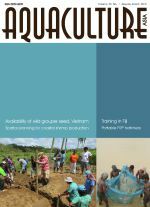 This paper reports on the development of a communication dissemination strategy for aquaculture recommendations resulting from participatory research in eastern India. It focuses on the rural poor who have limited access to resources and no effective aquaculture extension support. Important matters in relation to access to extension messages include socio-economic issues, access to TV and radio receivers, literacy levels and language. The paper shows the relative accessibility of different types of extension media for the different stakeholders.